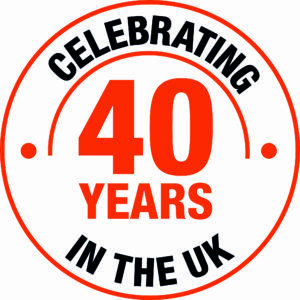 Hako Machines Ltd, the leading cleaning machine manufacturer, has notched up 40 years in the UK and is planning a major celebration with customers who will help them blow out the candles on its big birthday. The event will be staged at Silverstone’s world famous motor racing circuit on March 14 and key people from the municipal and corporate world are being invited to the party. Hako UK’s managing director, Sylvie Giangolini, who took over the controls a year ago, said she was delighted the milestone had happened on her watch. Hako UK, which is based in Crick, Northamptonshire, launched in the UK back in 1979 but the global Hako story started six decades before when German inventor, Hans Koch created the world’s first small mechanical cultivator.